Our new and used Acura dealership near Easton, Pennsylvania is eager to welcome you to Emmaus and provide for all of your automotive needs. If you're looking for an Acura that matches style with finesse, then be sure to speak with our friendly sales department about the new Acura ILX. This new Acura for sale offers a competitive price tag and boasts a suite of impressive safety and technology amenities. This innovative vehicle satisfies your on-road needs and is a viable option for a broad range of drivers from different financial situations, so contact Lehigh Valley Acura for a test drive now! Enhanced performance, technology, safety and driver assistance packages available. Our sales associates are up to date on the various packages available and will gladly discuss any features you are interested in. Your Acura ILX helps keep you and your passengers safe on the road. Standard features included with the Acura ILX include an Expanded View Driver's Mirror, LED Daytime Running Lights, and a Tire Pressure Monitoring System. Be sure to ask our team about the Motion Adaptive Steering, Next-generation Advanced Compatibility Engineering™ (ACE™) Body Structure and Vehicle Stability Assist™ (VSA) with Traction Control that also come standard. If you're in the market for a new car that is packed with impressive amenities that cater to your needs, schedule your Acura ILX test drive at Lehigh Valley Acura today. When you select the AcuraWatch Plus package, your new ILX comes with features such as Collision Mitigation Braking System, Adaptive Cruise Control, and Lane Keeping Assist System. This safety suite is also available on the Acura ILX A-SPEC model. Which new Acura will you choose? Lehigh Valley Acura creates a comprehensive car buying experience. 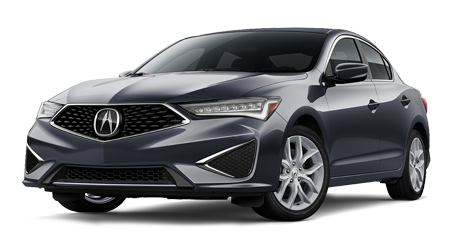 After we highlight the Acura ILX packages you're interested in, we will help you apply for automotive financing and can keep your running smoothly for the miles ahead thanks to our on-site service department. Don't miss the chance to own this stylish new car that exceeds expectations, visit Lehigh Valley Acura in Emmaus, PA today or shop our secure dealership website now. Our new and used Acura dealership near Reading anxiously awaits the opportunity to provide for your vehicle needs, so don't hesitate to visit our Emmaus, PA location for the model information, automotive financing or auto services that you're looking for!